Bill Davis grew up on Cape Cod during a time when the Cape was a much quieter summer vacation land. At 10 years old, he took sailing lessons at the Hyannis Port Yacht learning to sail Beetlecats and other local built wooden boats. At 14 years old, he started working at the Hyannis Theater and continued there until 1970. Attended Barnstable High School and was always found in the Art Rooms. After High School graduation and a year attending Cape Cod Community College Bill went to work for his father's Heating & Air conditioning Company. But in the late 70's, he returned to painting at night after work. In 1978 he started selling his paintings to local builders and folks in Hyannis Port. By 1982 he made the switch to painting full time. Bill had his first show at Richard Bourne Company 1983 along with an artist friend Elizabeth Mumford. The show was well received and attended by Lee Remick and Jackie Onasiss. This was the beginning of a very long list of shows all over the country. Once you have seen a painting by William R. Davis, you will understand why Mr. Davis has a national reputation as one of the best marine artists presently working in the United States. Mr. Davis grew up in Hyannis Port, Massachusetts. He is a self-taught artist whose oil paintings typically capture the serene light of sunrise or sunset on the water. 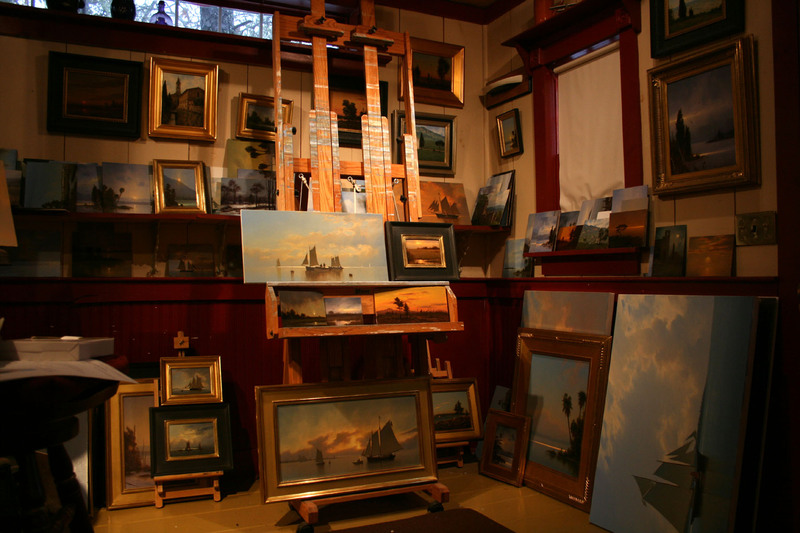 He employs many of the techniques traditionally used by American luminosity painters to realize his personal vision, showing a marked preference for 19th century subjects. 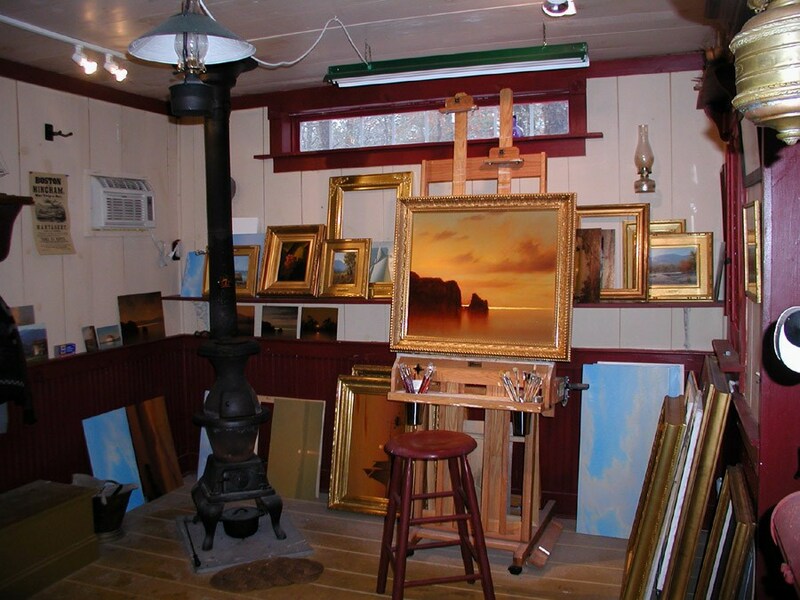 In 1987, Davis made history with the first one artist show ever mounted at the prestigious Mystic Maritime Gallery in Mystic, Connecticut. All twenty of the works featured in that show were sold at the opening reception. In 1990 he received the Mystic Maritime Gallery Award of Excellence and his painting entitled "Calm Day off Latimer's Reef" appeared on the cover of Mystic's The Art of the Sea Calendar in 1993. Three of his paintings were also used in Shipwrecks Around Boston by noted Cape Cod author, William P. Quinn. Rockport Publishers has included Boston Harbor at Sunset in a new book entitled, A Gallery of Marine Art. He has also been included in the latest edition of E.H.H. Archibald's authoritative volume on Marine Art from the Flemish masters to the present. Much of Davis' early works pays homage to 19th century artists such as James Bard, Martin Johnson Heade, Antonio Jacobsen and Fitz Hugh Lane. He limits himself to about 30 colors in the palette of that period. He describes his style as "A conglomerate of a number of ideas I saw in other artists with my own refinements". Over the years, he has incorporated his fascinations for the different techniques of these artists. This may be best explained in the works of painter, William Merritt Chase, prominently displayed in his studio, "The most original painters are those who have stolen here a little and there a little from everyone. When they arrive a the levels of the masters, they will find they can do so much better work themselves that they can't help being original". In a tribute to Martin Johnson Heade which appeared in the July 1991 issue of American Artist magazine, Davis refers to sunset as "the hour when night usurps day". He observes that this is the "best time of day for painters to capture the 'inner state' of a landscape" and represents "an unequaled opportunity to sensitize the eye to the delicate mysteries of light and shadow". In the September 1992 issue of Soundings, former Mystic Maritime Gallery Director, J. Russell Jinishian, described Davis by saying "His work evokes the gentility and natural beauty of the 19th century, a time we look back on with some nostalgia as it was a time less complicated and more civilized". 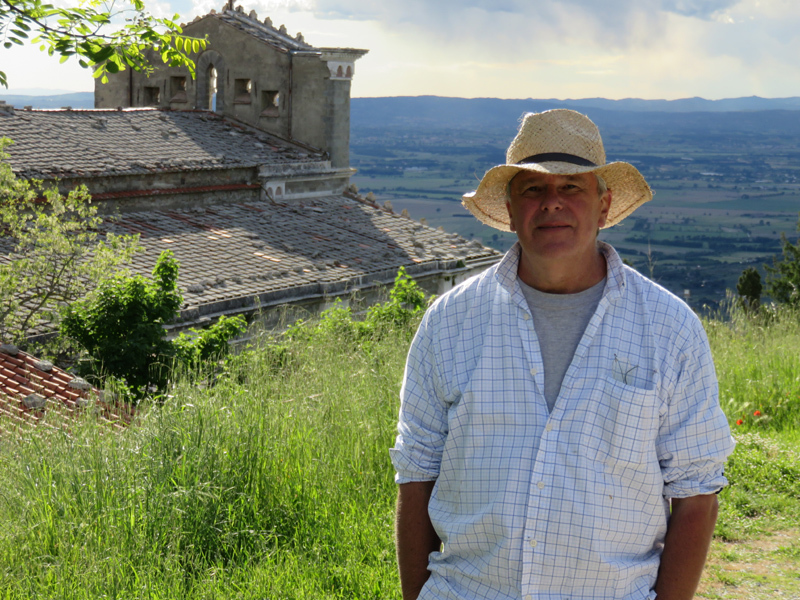 Although best known for his marine subjects, Davis strives to make his work accessible to those with a variety of tastes while expanding his own horizons as an artist. 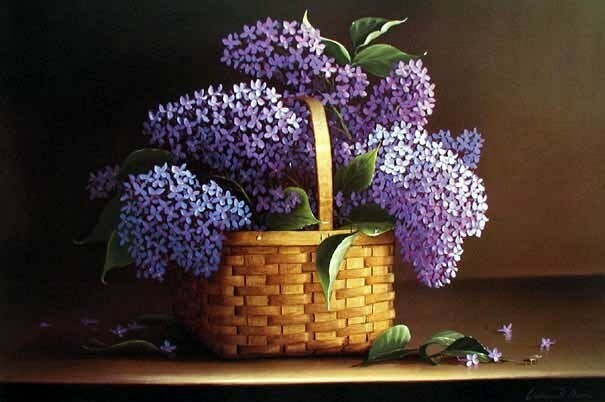 Following the tremendous popularity of Davis' "Lilacs and Basket", featured on the poster for The Cahoon Museum of American Art 1992 exhibition entitled, "The Flowers of New England", the Nantucket Basket series began. Note cards and limited edition prints are now available. Davis has shifted in the last few years to painting more landscapes on location. 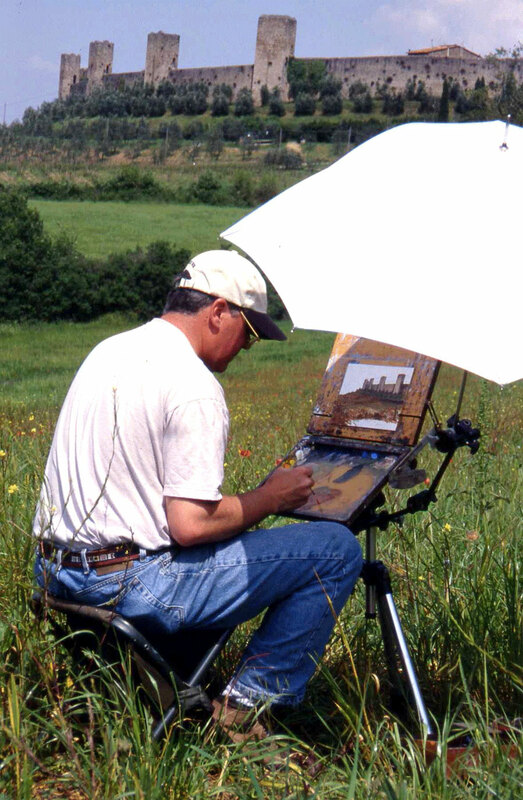 In the process, he has converted to plein air painting, partly influenced by his friendship with artists Joseph McGurl and Donald Demers. During 1998 the three friends painted together in various locations all over New England. The result of their efforts was a show entitled The New American Luminists Revisit the Native Landscape held at Tree's Place in Orleans, Massachusetts. In April 2001, Wm. Davis' work was illustrated on the cover of American Artist Magazine along with an in depth article about his work. Cape cod life collector's edition named davis as one of the Top 400 most influential, famous, and intriguing people on cape cod. Davis was also an invited panelist at the national conference on representational painting, sponsored by american artist magazine and held in the Summer of 2004. 2018 Best in Show- BoldBrush Art Show FASO Feb. Private one man Exhibition "St. Botolph Club" Oct.
American Society of Marine Artists, "30th Anniversary Exhibition"
Cahoon Museum of American Art, Cotuit, MA "Of Children and Childhood"
Copley Society, Boston, Ma "Patrons Choice Show"
Meghan Candler Gallery, Vero Beach, FL "One Man Show" Feb.
St. Botolph Club, Boston, MA "One Man Show" Feb.
St Botolph Club, Boston, MA "Romance of the Sea"
John Pence Gallery, San Francisco, CA "William Davis, Donald Demers & Joseph McGurl Paint Northern California"
Tree’s Place, Orleans, MA "The New American Luminists, 2nd show"
Sharon Arts Center, New Hampshire, "Seaworthy Ships: Master Marine Artists"
J. Russell Jinishian Gallery, Inc., CT, "Marine and Sporting Art of Today and Yesterday"
Big Horn Galleries "Marine Art of Yesterday & Today"
Sharon Arts Center, Petersbough, NH "seaworthy Ships, Master marine Artists"
J. Russell Jinishian Gallery, Fairfield, CT "Marine & Sporting Art of Yesterday"
Christina Gallery, Edgartown, MA "Two Man Show"
Mystic Seaport Museum Gallery, Mystic, CT "International Show" Sept. 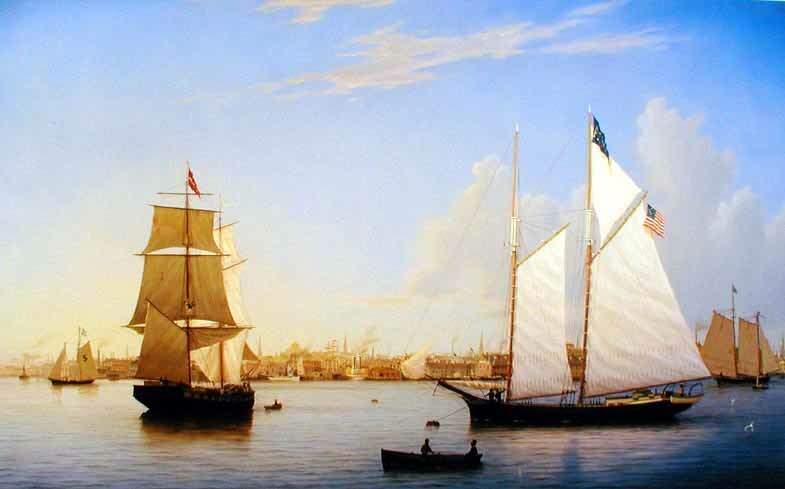 Mystic Maritime Gallery, International Marine Art Exhibition "Modern Marine Masters"
Roger King Gallery, Newport, RI "Newport Maritime Festival"
Willson Gallery, Nantucket, MA "
Lily Pad Gallery, Charlestown, RI "Two Man Show"
Mystic Maritime Gallery, Mystic, CT "Modern Marine Masters"
Lily Pad Gallery, Charlestown, RI "One Man Show"
Barnstable Historical Society, "Treasures at the Trayser"
Community Foundation of Cape Cod, "Making Art and Making A Living"
Cape Cod Magazine July 2006 "The Mariner on Canvas"
Fine Art Connoisseur, April 2006 "New American Luminists. Land Light and Sea"
Bound for Blue Water-Contemporary American Marine Art a new book by J. Russell Jinishian. Art of the West September 2001 "Capturing the Grandeur of Yosemite"
Southwest Art November 2001 "Yosemite Artists"
Cape Cod Life Magazine "The Solitude's of Nature" August 2000 issue – page 76-81. The Register, May 8 1997 "William R Davis, Artist & Collector"
Shipwrecks Around Boston Hard Cover Book by William P. Quinn.